The demand for the pilot license holders is again growing stronger and the aspirants can now actually see their dreams flying to reality. FAA, with its specialisation in aviation and extensive experience in national and international pilot training is among a selected few in India and is proving to be a perfect launch pad for pilots with its International associations for the best possible Pilot training. At FAA the aspiring pilots can expect to receive the best guidance for the pilot's License Examination conducted by DGCA, Govt. of India, at the lowest possible cost with the advantage of being taught by the professionals holding the licenses from DGCA who readily share their experiences with the students that enriches them and come handy in their overall performance. 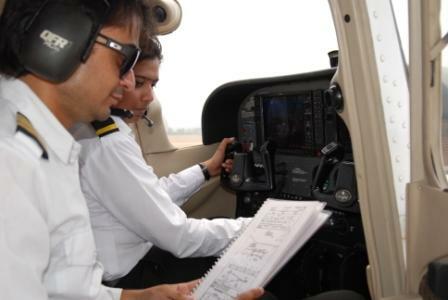 SPL is issued to a pilot in training, and is a pre-requisite for the student to fly alone in the aircraft, or solo and people who dreamt of flying but could pursue their dream due to any reason can do hobby flying with student pilot license. PPL is a license that permits the holder to act as the pilot-in-command of an aircraft privately (not for pay). You can carry you friends, do hobby flying, go on cross countries. Private pilot license holders, on the other hand, enjoy a lot more freedom in the air. CPL allows you to carry passengers or property for compensation or hire and with this license you can join an airline anywhere. 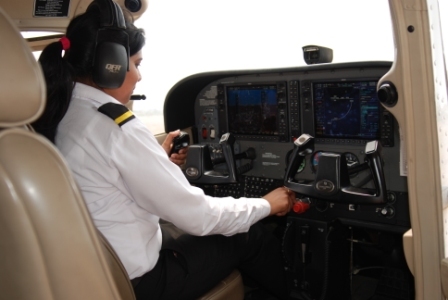 The Commercial Pilot License is the gateway to a professional career in aviation. A CPL holder can fly for schedule,non-schedule operators(charters), cargo and air ambulance services. With the new airlines and air services coming up you can have a glorious career in aviation as a commercial pilot license holder.